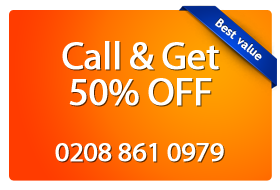 Magic Carpet Cleaning has been providing high quality services in Monken Hadley EN5 for many years now. Our cleaners are well-trained to use our advanced equipment and eco-friendly detergents. They are able to manage every cleaning job, no matter the size or the condition of your carpet. For more information please call us on 0208 861 0979, or use the booking form below. Magic carpet cleaning have years of experience. There is no job too small for us. Check out our carpet cleaning services. If you are not satisfied by the end result, we will re-clean your carpet. If you want your carpets cleaning to be done right then your best choice is hiring the experts of Magic Carpet Cleaning. We offer wide variety of cleaning services such as stains removal, upholstery,rug and carpet cleaning in Monken Hadley EN5. Magic Carpet Cleaning has a team of seasoned professionals in Monken Hadley EN5 providing exceptional quality steam cleaning services at affordable rates. Getting rid of stains and odors and making you carpets look new is just what our carpet cleaners in Monken Hadley EN5 do. Give us a call on 0208 861 0979 now and get your free estimate or use our form below to schedule a service. If you want your carpets to look new with a fresh clean smell choose Magic Carpet Cleaning in Monken Hadley EN5 for stains removal, upholstery, rug and carpet cleaning. You will be more than satisfied by the results provided by our experienced cleaners.